On my recent birthday trip to NYC I took a break from scouring the hundreds of sale racks at Century21 to visit The Met and check out Punk Chaos to Couture. Punk is a collection designer looks inspired from the British and American punk culture of the 1970′s and 80′s. 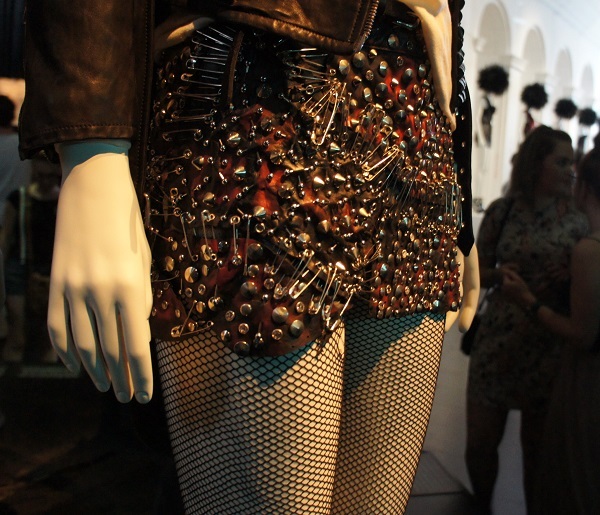 This look from the Burberry SS13 collection is my favorite look from the exhibit. 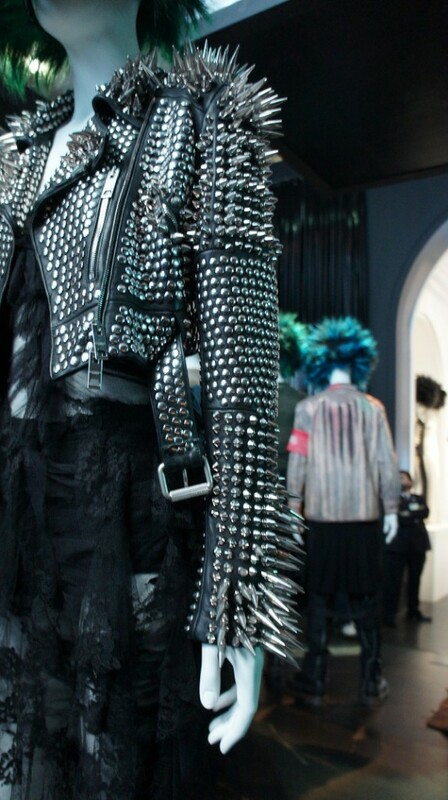 I love the amazing details on the leather studded and spiked jacket. It is one of the newer collection pieces on the display and this possibly why I adore the jacket so much. Although, once could probably DIY it, I am not much of a DIYer – so I am itching to commission a tailor to make one! 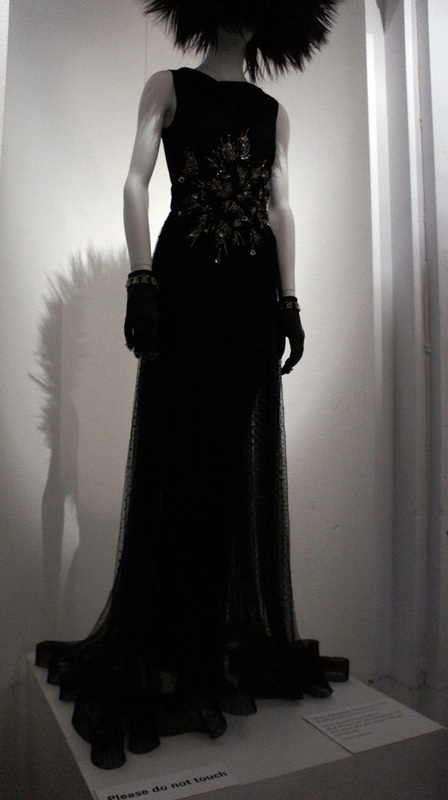 Another one of my favorites is from the AW07 Givenchy collection. This look is more toned down and wearable. This gold pyramid stud jacket would easily work into my wardrobe! Commission project #2! 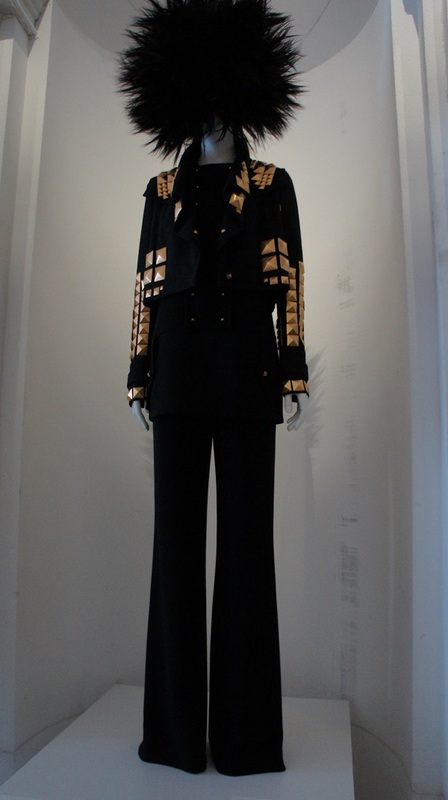 The exhibit included a few Vivienne Westwood pieces from the 1974 film Too Fast to Live, To Young to Die! Punk tees from the 1970′s Vivienne Westwood, including the infamous Naked Footballer tee! 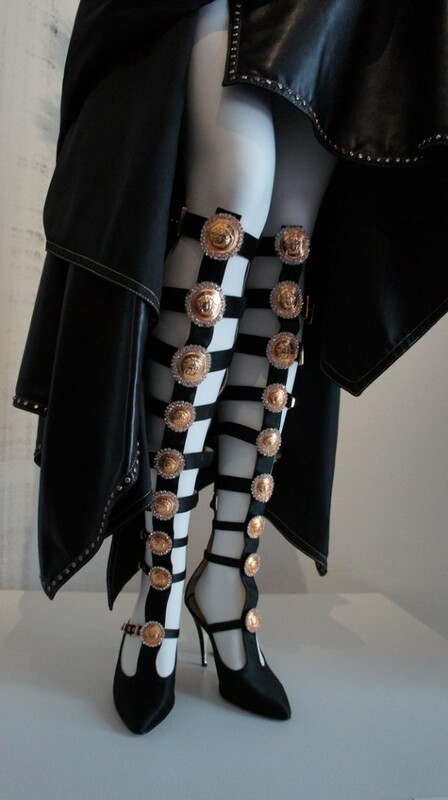 An amazing but very Versace punk piece. Balenciaga’s understated but perfectly punk gown. Baby safety pin finger tips!! 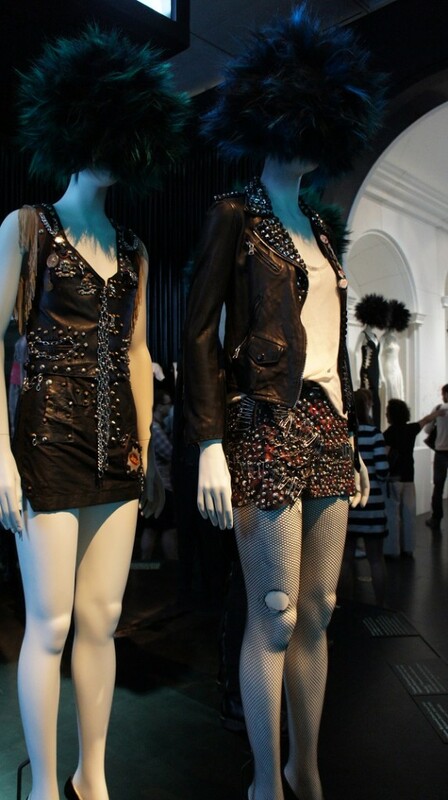 Punk is an amazing exhibit and a great example of the intersections of music, lifestyle, fashion and ingenuity. The exhibit closed this summer, so I am happy I was able to share my inspiring experience. This entry was posted in Art, Events, Fashion, Travel and tagged Balenciaga, Burberry, Givenchy, New York, Punk, Punk Chaos to Couture, The Met, Versace, Vivienne Westwood on September 3, 2013 by Hillary. Elyse Walker is an uber chic designer boutique located in the Pacific Palisades, which is right outside of Santa Monica. Elyse Walker carries an amazing selection of designer goodies that one may not find at Neiman Marcus or Barney’s because they buy for their local clients and not a national trend. I recently received the Elyse Walker Holiday e-Magazine and fell in love with the spring teaser. I am in love with the pistachio/mint Balenciaga! The Proenza Schouler PS1 bags in the fabulous bright spring colors get my heart racing! Check out more of the Elyse Walker eMagazine. This entry was posted in Fashion and tagged Balenciaga, Elyse Walker, Proenza Schouler PS1 on December 29, 2011 by Hillary.